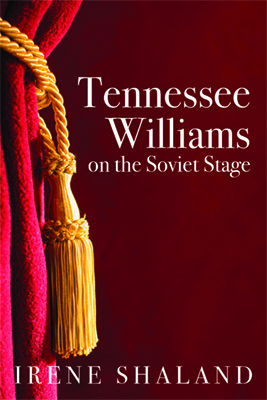 In her Tennessee Williams on the Soviet Stage book, Irene Shaland explores the history and problems involved in staging Tennessee Williams’s works in the Soviet theater. This book has five chapters and discusses 1970s – early 1980s Russian productions of five plays, A Streetcar Named Desire, The Glass Menagerie, Orpheus Descending, Sweet Bird of Youth, and Kingdom of Earth, in several Moscow, St. Petersburg (Leningrad), and provincial theaters. This production-based study serves as a useful resource to theater historians interested in intercultural interpretations of the great American playwright.